The first draft by the Think Tank on Intellectual Property Rights set up by Commerce and Industry Ministry has been uploaded by the Ministry today. The Think Tank is chaired by Justice Prabha Sridevan, and consists of 5 other members. The draft highlights the need for a nodal agency in order to coordinate, guide and oversee implementation and future development of IP in India in accordance with the National IP Policy. The body will be responsible for bringing cohesion and coordination among various Ministries/Departments in the way they deal with IP matters under their charge. It will be responsible for laying down priorities for IP development and preparing plans of action for time bound implementation of national and sector specific IP policies, strategies and programs. The entire process will be undertaken, according to the draft, in close consultation and with the involvement of all Ministries/Departments and authorities/ agencies concerned. Public and private sector institutions and stakeholders’ bodies will be made an integral part of the consultation and implementation process. The draft talks about the “Make in India” initiative by the Government to transform India into a world class manufacturing hub is predicated on fostering innovation and creativity by generating, protecting and utilizing intellectual property assets. It highlights the “Digital India” initiative which involves components such as Smart Cities, e-governance, e-literacy, e-commerce, strengthening and expansion of digital infrastructure and transforming India into an Electronic System, Design and Manufacturing hub. The measures to be implemented include the opening up of IP Promotion and Development Units (IPPDU) in all States, smart cities, innovation and industrial clusters, by the proposed IP Promotion and Development Council (IPPDC), in order to provide one window services to entrepreneurs, startups and manufacturing units for IP awareness, protection and utilization. It seeks to integrate into the Government initiatives the various schemes of the Department of Electronics and Information Technology for IP promotion and global protection, forging links between industry and academic/research institutes for industry oriented research, commercialization and entrepreneurship development. IP support to MSMEs will be expanded through new or existing IP facilitation centers. Links will be forged between IPPDU/Facilitation Centers with IPOs, innovation and research universities, industry associations and financing institutions in order to realize ‘Mind to Market’ concept. It also seeks to establish a system in IPOs for simultaneous examination and grant of several categories of rights such as patents, trademarks, designs when attached to a single product will be examined. 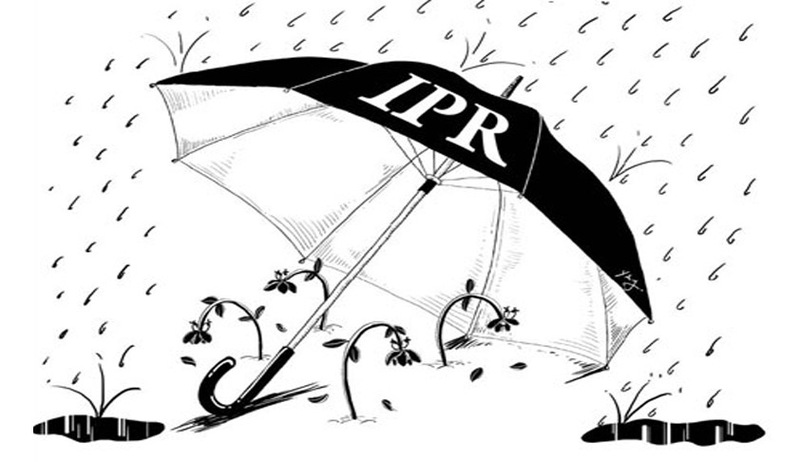 The IP Policy hence, aims to integrate IP as a policy and strategic tool in national development plans. It foresees a coordinated and integrated development of IP system in India and the need for a holistic approach to be taken on IP legal, administrative, institutional and enforcement related matters. It intends to undertake an annual evaluation of the overall working of the National IP Policy and the results achieved. A major review of the Policy will be undertaken after 3 years.